Pork hogs the spotlight when it comes to ribs. However, lamb and beef protein pops are just as delectable. 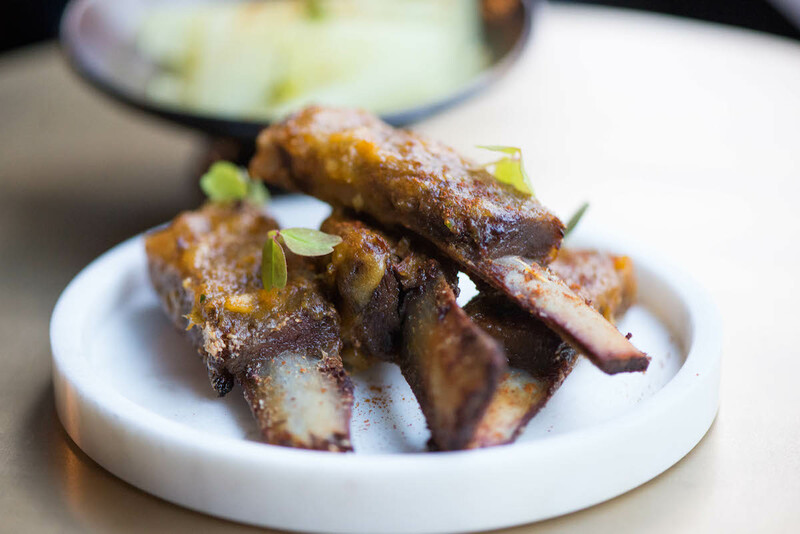 Here are 7 super restaurants for ribs that are tasty alternatives to getting’ piggy wit’ it. 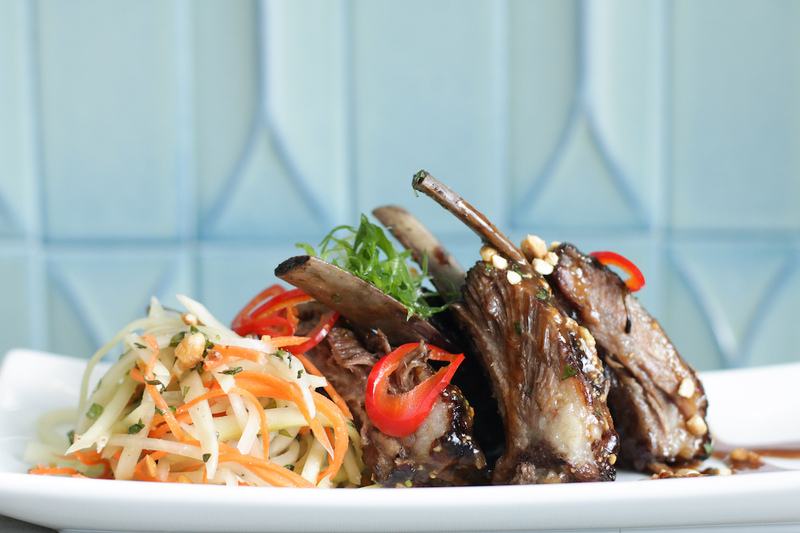 Lamb riblets get a Vietnamese treatment. Braised in red wine and mint, the meaty morsels arrive with a peanut and green papaya salad. They’re finger-lickin’ good (or you could just be civilized and use a napkin). Make a reservation at Soca. 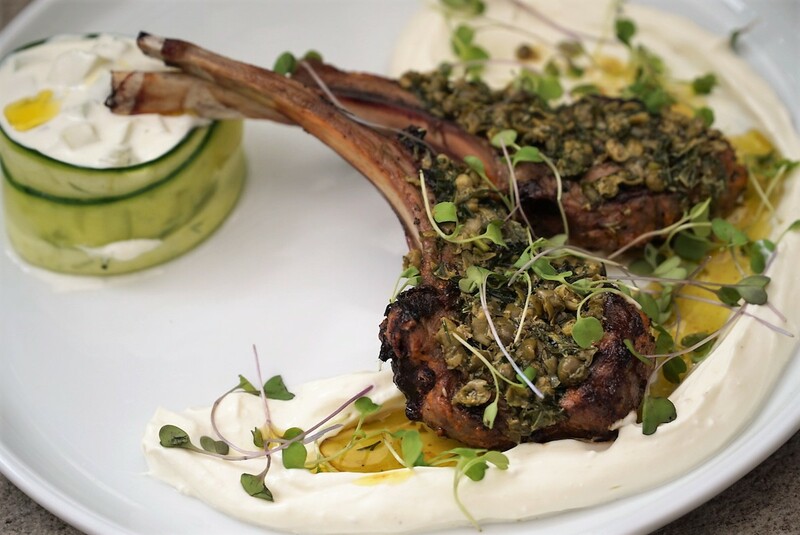 A pair of lamb rib chops goes Greek. The dynamic duo is served over smoked yogurt tzatziki with dill oil and compressed cucumbers. Think of it as an elevated pita-less gyro. Make a reservation at Zaytinya. Lamb ribs by way of Kashmir. The meat lollipops come with apricot-chili marmalade and saffron-quince chutney. One bite and you’ll swear you’re in Jammu. Make a reservation at BAAR BAAR. 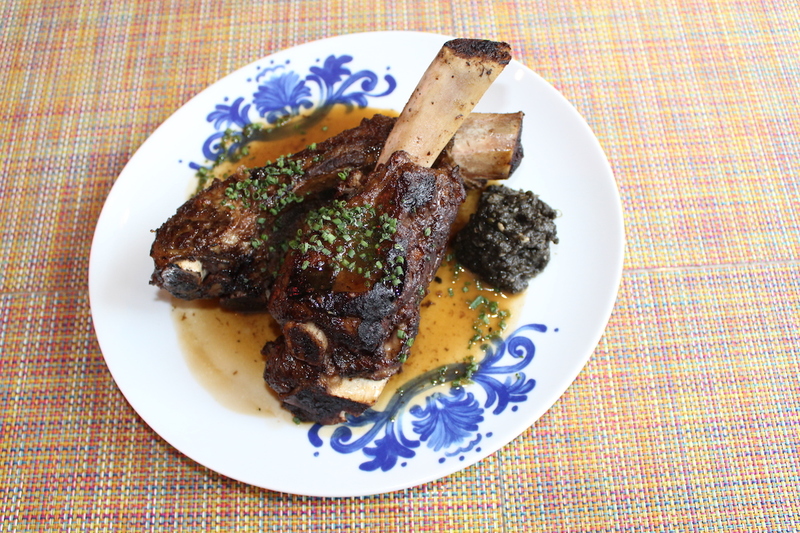 To get them tremendously tender, these lamb ribs are cooked sous vide for 36 hours. They’re glazed in a reduction of lamb jus and tart cherries and then grilled to order. 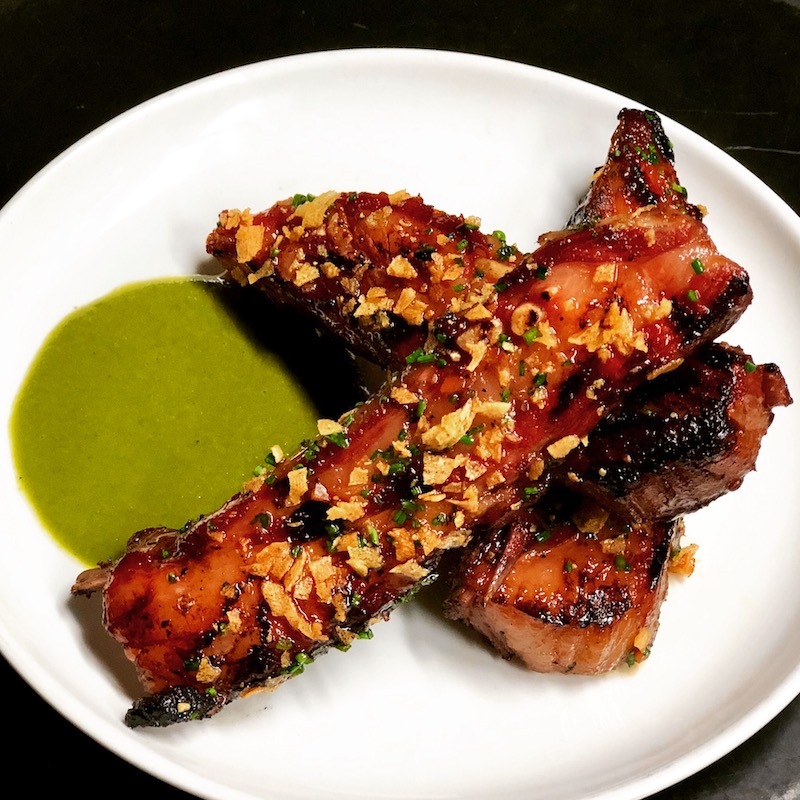 Coated in toasty garlic chips and preserved orange, the trio of ribs comes with a green puddle of chimichurri for dipping. Make a reservation at Cherry Point. Here’s some hot meat on meat action. 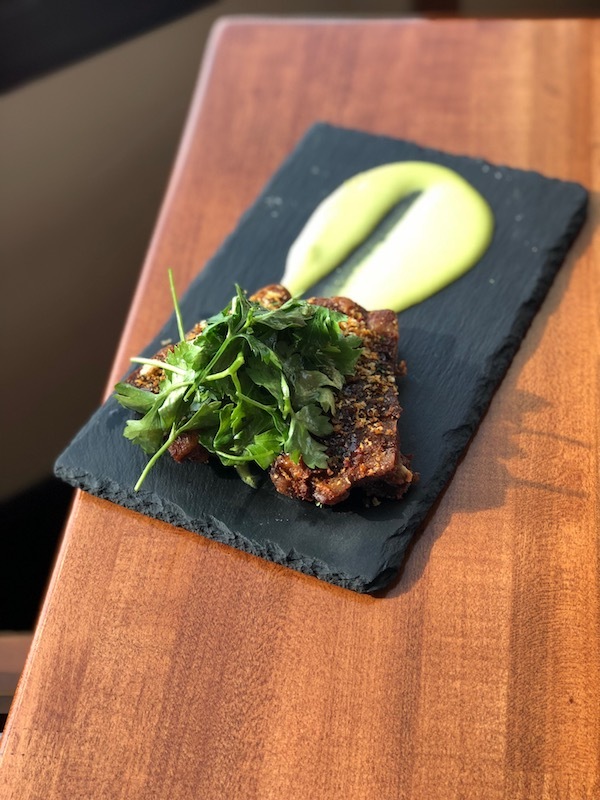 Chorizo crumbs crust these delectable lamb ribs. There’s mint pea puree on the side to add a cooling note. Make a reservation at the Rusty Pelican. Good things take time. After marinating in ancho and arbol chilies, these local beef ribs are smoked, cooked sous vide overnight, and finished on the grill. Glazed with beef jus, they arrive with a funky fresh huitlacoche salsa. Make a reservation at Oyamel. The season may be winding down, but there’s no reason not to hope for an Indian summer with frozen cocktails that offer creative cool-downs. Any cocktail on the menu can be frozen thanks to liquid nitrogen that adds a bit of theater to the bar. The internationally inspired passport menus for bar bites and tipples bring guests to Mexico with mezcal, Peru with pisco, the U.K. with gin and beyond. 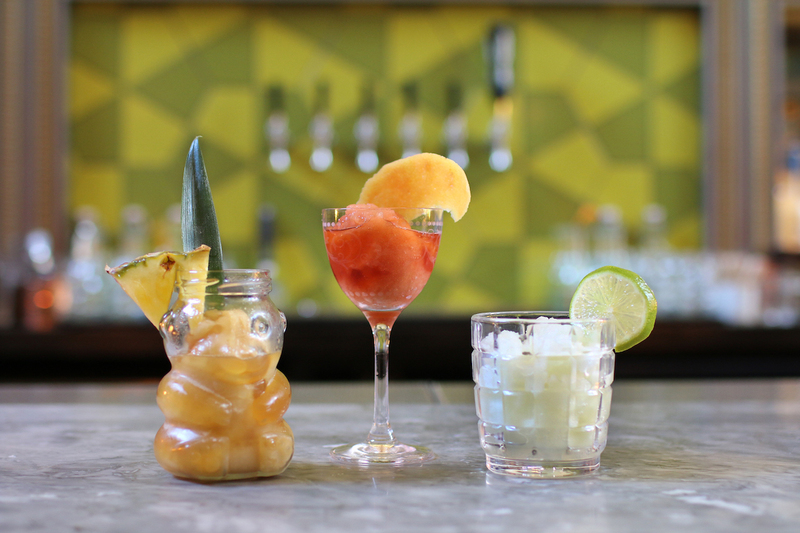 No matter which hemisphere you’re in, however, it’s always summer with a few favorites including Smokey the Bear’s habanero-infused mezcal with yellow chartreuse in a honey-bear jar that’s been smoked using a torched cedar plank and the Funky Chicken, a sweet-spicy-sour cocktail with Mexican lollipop-infused rye. Make a reservation at Arbella. Any English gent would likely snub his nose at a frozen gin and tonic, but this all-American remake proves you can’t mess with Texas ingenuity. 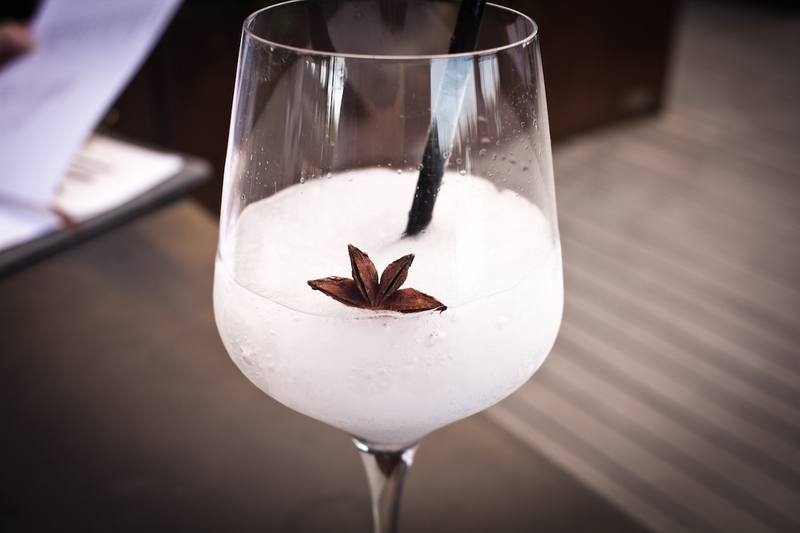 Barman Alex Fletcher combines the classic spirit and mixer with ice, citrus, and sugar. It all goes down smooth with views of the Dallas skyline from the rooftop lounge. Make a reservation at Harlow MXM. Cooling off is practically an art form in Miami, and it gets a special Mediterranean twist at Caffe, where an old-fashioned granita cart offers adult aperitifs. Some of the top sellers evoking the flavors of Sicily are the Aperol spritz, frozen Negroni, and espresso amaretto. 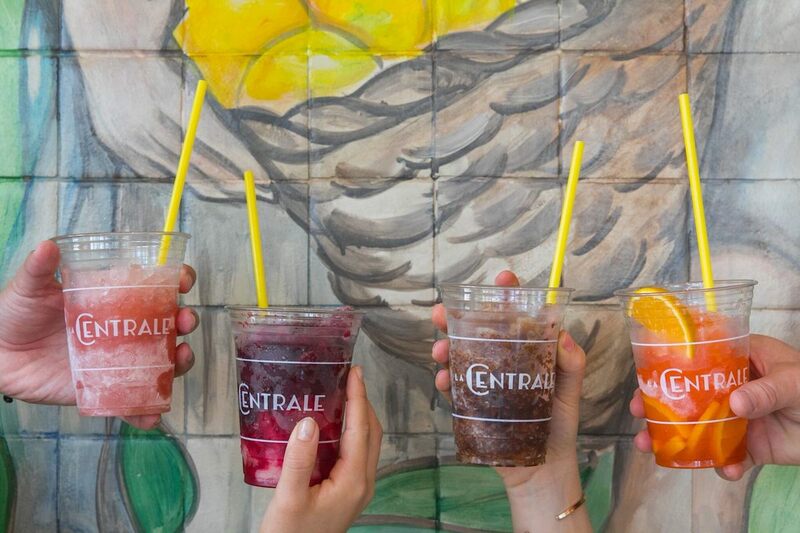 Make a reservation at La Central Caffe. No matter what the season, lactose-intolerant-friendly horchata helps cool down the zest of Mexican dishes at Puesto. 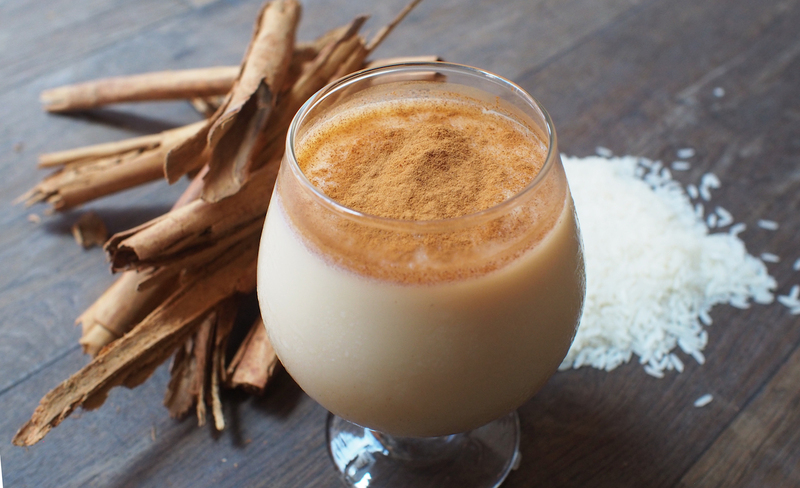 This summer, that’s amplified with the Horchata Loca, which adds local Malahat San Diego white rum and an extra dash of cinnamon to the frozen horchata (made with rice milk). Make a reservation at Puesto. May is National Salad Month, not to mention damage control month following a winter of heavy eating and drinking. Chefs are creating unique salads with the season’s best ingredients paired with a few surprises. 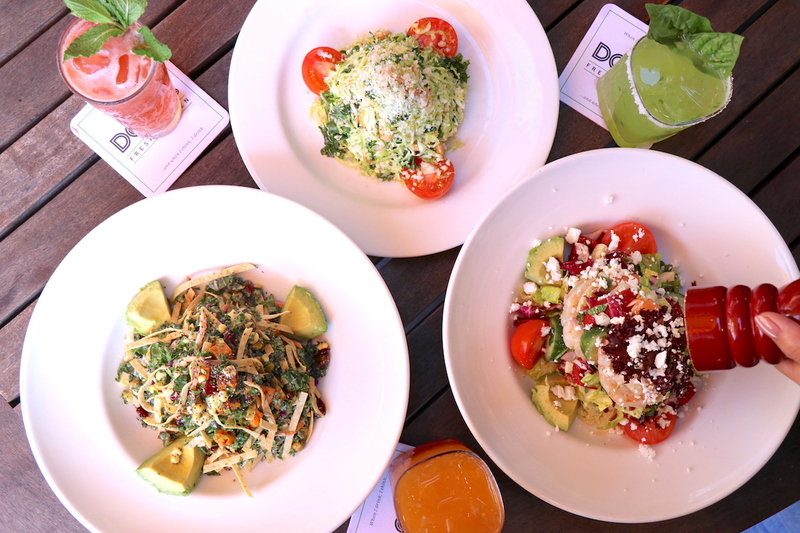 Check out these restaurants for new spring salads and eat guilt-free. 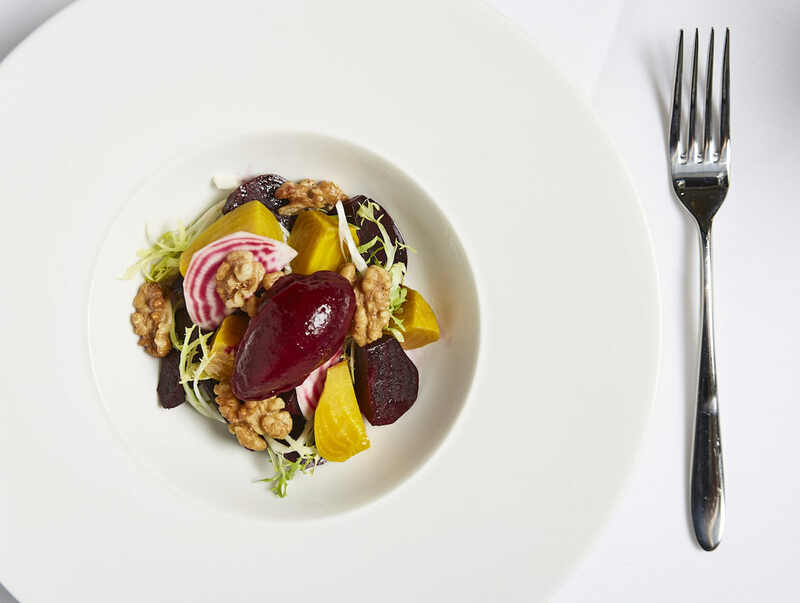 Beat the heat with executive chef Pano Karatossos’ beet salad, a blend of baby candy beets, striped beets, and yellow and red beets — all are roasted, quartered, and splashed with aged red wine vinegar and a Manouri dressing and adorned with toasted walnuts. The crown: a beet sorbet made from roasted beet puree and simple syrup. Make a reservation at Kyma. Watermelon and warm weather are a fun-lovin’ pair. 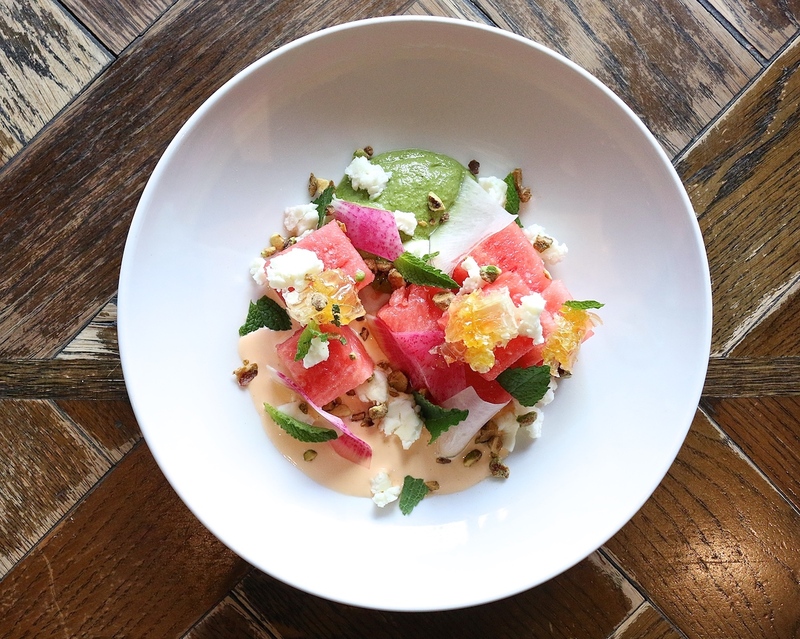 Chef Fabio Viviani created his watermelon salad to be “a juxtaposition of a sweet and savory combination” that stars watermelon (of course), spiced yogurt, shaved radish, Nordic creamy feta, honeycomb, and a pistachio and mint vinaigrette. Make a reservation at Siena Tavern. 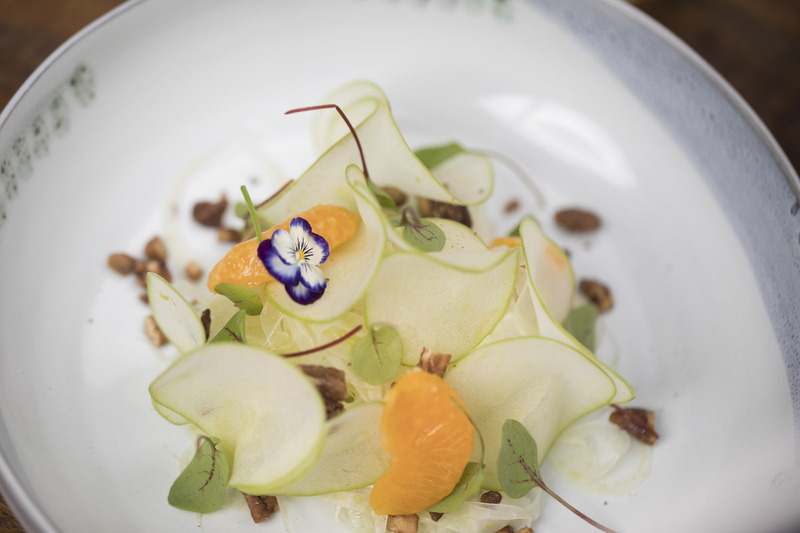 A citrusy city salad, the fennel and orange salad on chef Nico Daniele’s Park Slope neighborhood menu is a fruity and nutty mix of blood oranges, green apples, pecans, and a citrus vinaigrette drizzle. Make a reservation at Bella Gioia. The no-veto-vote” menu at this Chicago-based brand (named after founder Craig Bernstein’s late father, Doctor B.) has a section devoted to “craveable salads.” Elect the California salad and you’ll get a mingle of kale, avocado, cranberries, wasabi peas, and sweet potato dressed with a roasted garlic dressing. Available at all locations. Make a reservation at Doc B’s Fresh Kitchen. 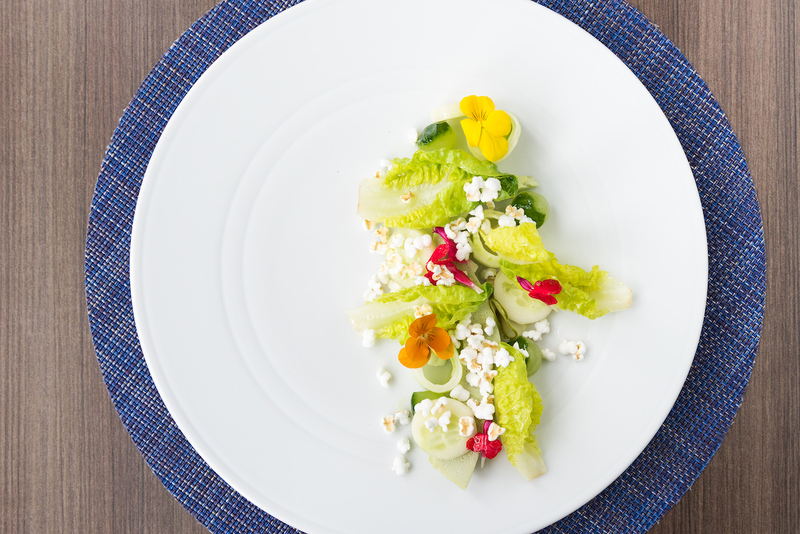 Executive chef Jacob Verstegen’s heirloom cucumber salad puts this refreshing fruit center plate. The dainty salad is comprised of balled, shaved, and sliced cucumbers as well as pickles, and it is complemented with a green garlic custard, popped rice, and spring herbs. Make a reservation at LH Rooftop. 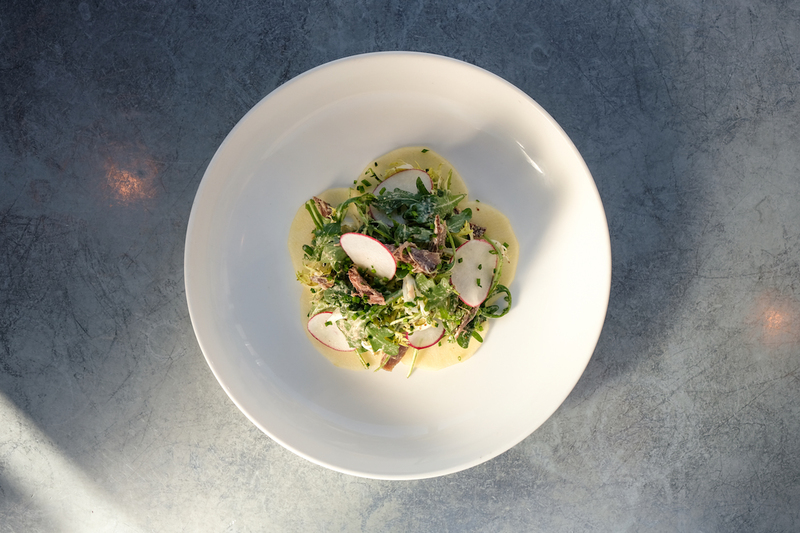 Come for brunch and start your midday meal with executive chef Andy Little’s duck confit salad that’s created with a delicate toss of duck confit, frisée lettuce, and shaved apple, and it’s jazzed up with a creamy mustard dressing. Make a reservation at Josephine. Hummus is usually a simple blend of chickpeas, tahini, olive oil, garlic, and salt and pepper. That doesn’t have to be the case. These interesting iterations put new spins on the old favorite. 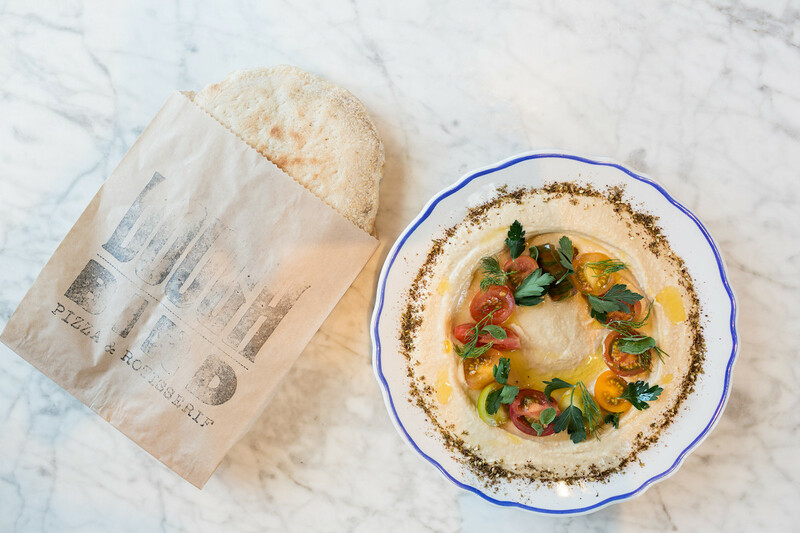 Here are 10 restaurants serving hummus that will flip your dip. 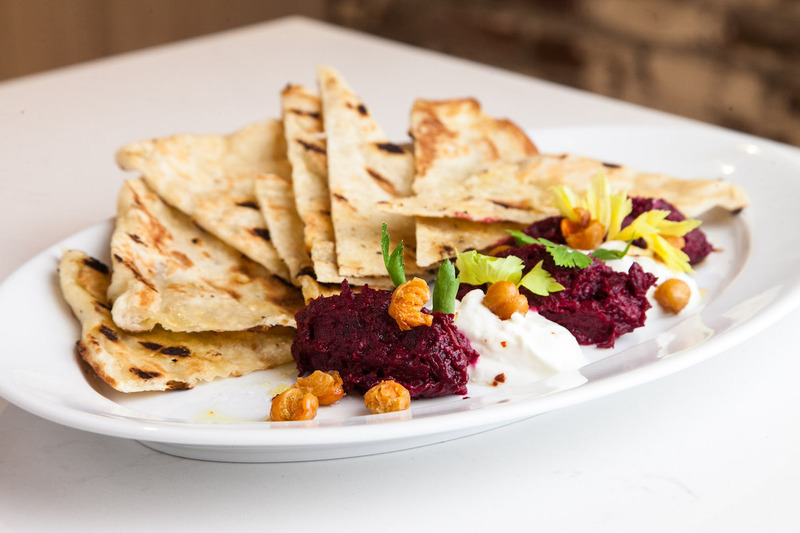 Purple beets are subbed in for the usual chickpeas to create a savory-sweet spread. It’s paired with feta yogurt and tahini. 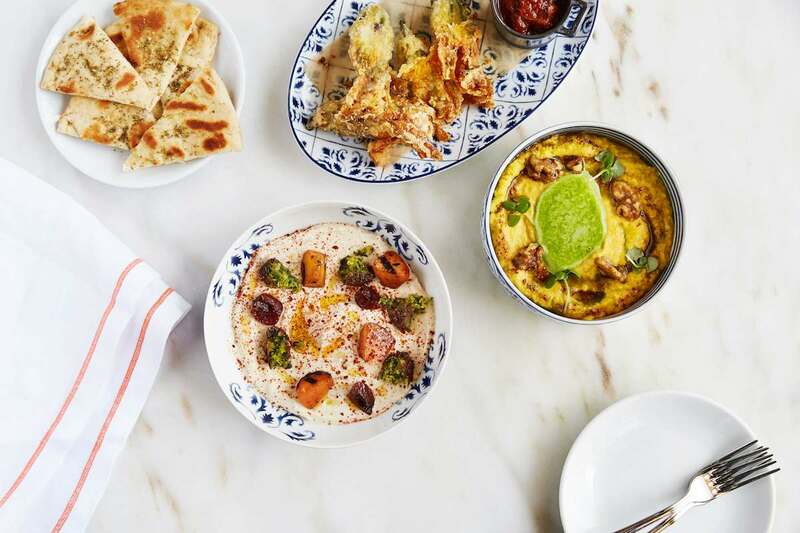 Triangles of grilled housemade naan are on hand to scoop it all up. Make a reservation at Trademark. This super smooth and silky hummus gets its creamy consistency from an extended grind time. It’s lavished with za’atar, halved cherry tomatoes, fresh herbs galore – parsley, dill, and oregano. Freshly baked hearth bread made with the restaurant’s pizza dough arrives on the side. Make a reservation at Doughbird. Meet the three amigos. 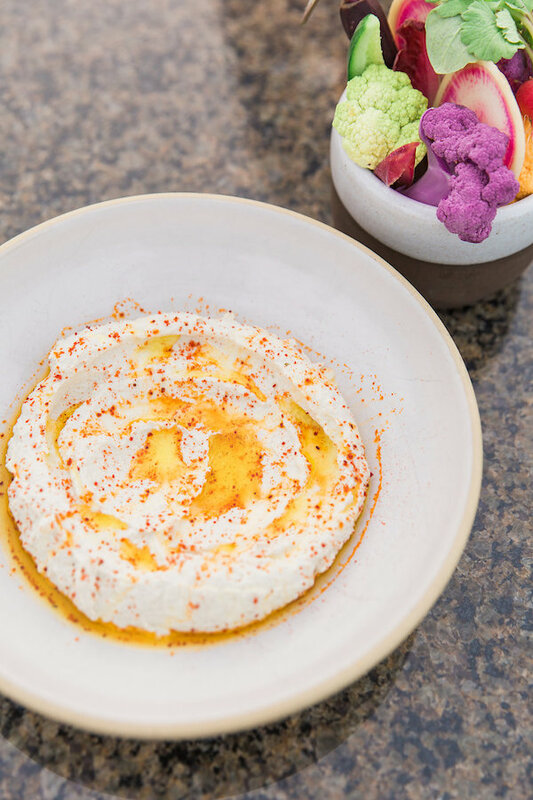 Beet boosted hummus arrives with creamy, dreamy labneh, and eggplant. It’s accompanied by za’atar-spiced pita. Make a reservation at Georgie. Who needs chickpeas? This (s)unconventional hummus is built with sunflower seeds, which are finely blended with garlic, olive oil, lemon juice, water, and salt. Dig into it using the crudités on the side. Make a reservation at The Rooftop by JG. Get your Greek on. 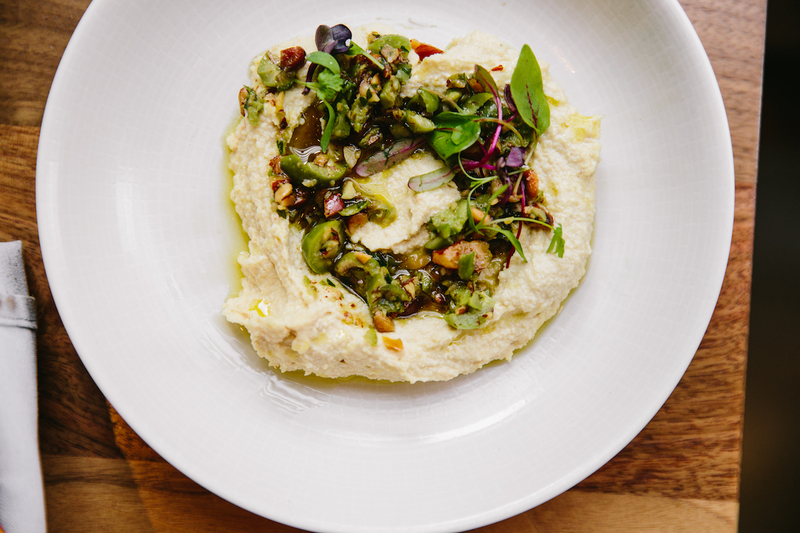 This Medi-minded hummus is forged with edamame and pistachios, which are blended with olive oil, oregano, and garlic. A scattering of the green nuts on top adds a pleasant crunch. Make a reservation at Ousia. This ain’t ho-hum hummus. It’s made with toasted almonds and garlic and then graced with a verdant array of fresh herbs and chopped Castelvetrano olives. Told you it was a cut above! Make a reservation at Ema. 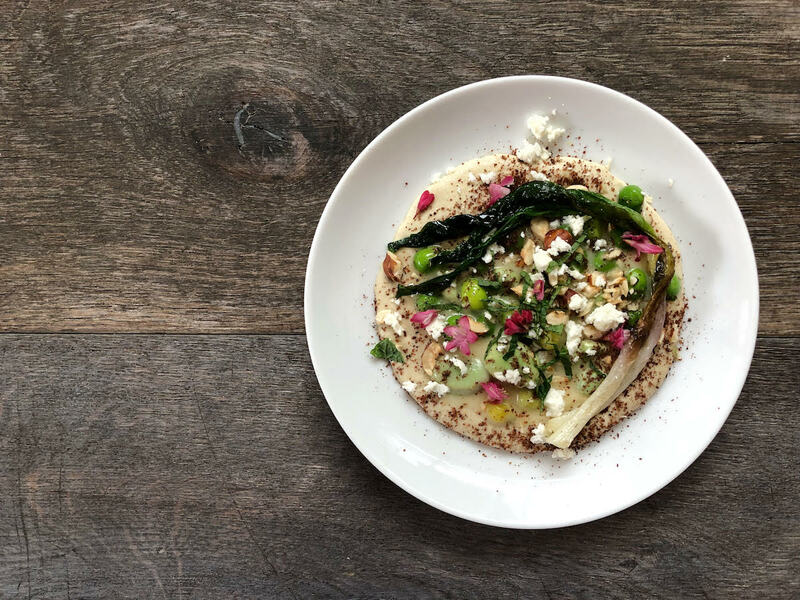 Spring is in the air – and on this hummus. 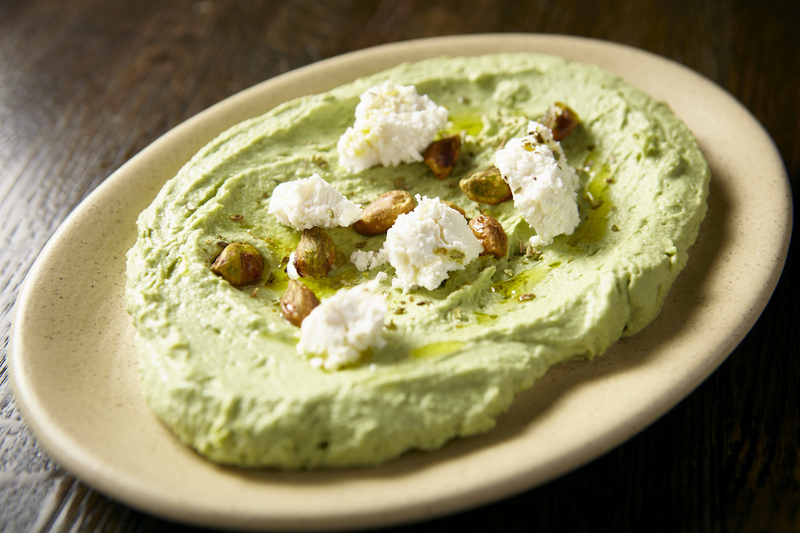 It comes spangled with glazed peas and fava beans, mint, toasted hazelnuts, feta, and sumac. Dig into it using homemade pita or Markouk bread, and Israeli pickles. Make a reservation at Our Fathers.